Definition at line 19 of file direct.h. Definition at line 97 of file direct.h. Definition at line 108 of file direct.h. Definition at line 163 of file direct.h. Definition at line 20 of file getdrive.c. Referenced by _tgetdcwd(), and _tstat64(). Definition at line 35 of file getdrive.c. 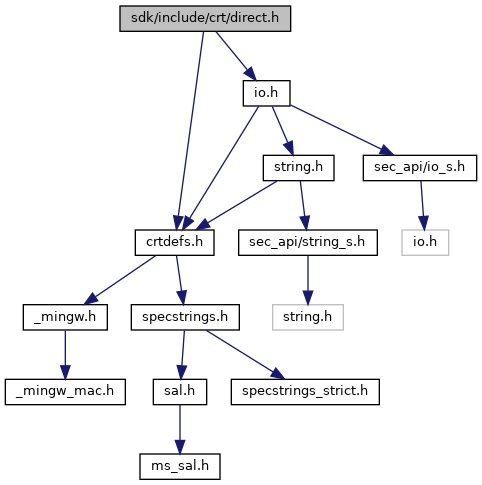 Referenced by rd_pstcache_mkdir(), and test___getmainargs_parent(). Referenced by MDIMainFrame::Command(), EnumFilesInDirectory(), FrameWndProc(), FTPGetLocalCWD(), CCabinet::GetAttributesOnFile(), CCabinet::GetFileTimes(), lcd(), make_directory_records(), MakeDirectory(), and process_directory().